MechaGodzilla - two great things that go well together, truly the Reese's Peanut Butter Cup of the kaiju world. 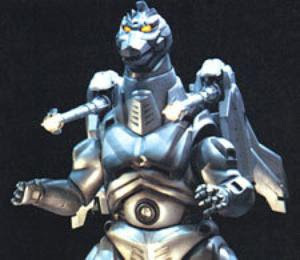 *Well, technically they brought up the concept three times in the "Heisei" series, but Mecha-King Ghidorah was just the original King Ghidorah with a cyborg upgrade, so he doesn't quite count, and M.O.G.U.E.R.A. was just plain lame. Demand the genuine article, people. 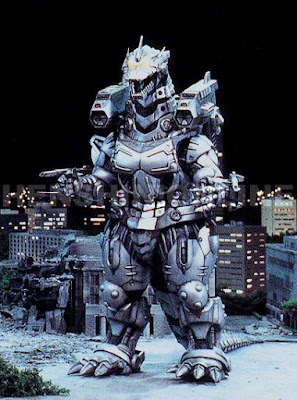 I love me some Mechagodzilla. 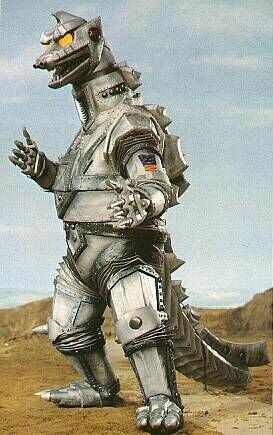 He was in my very first Godzilla movie and something stuck.